from Left to Right top row: Marc Holmes, CAMRA national director and former GBBF organiser. 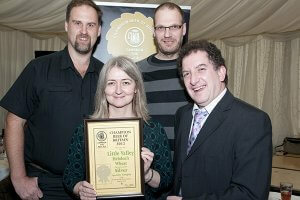 Wim van der Spek, Master Brewer and Co-owner at Little Valley; Left to Right bottom row: Sue Cooper, Co-owner at Little Valley; Nik Antona, CAMRA Champion Beer of Britain Competition director. CAMRA (The Campaign for Real Ale), now in its 40th Year, organise the Great British Beer Festival every year. 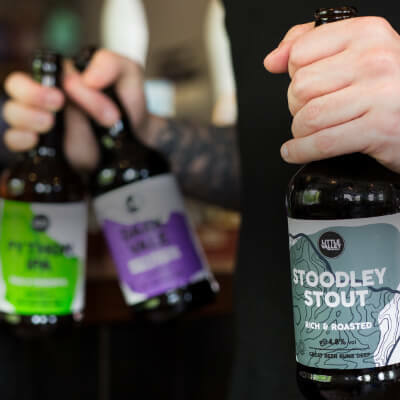 The Beer of Britain competition involves a year of local tasting panels and regional heats leading up to the finals which were held at the Olympia in London this year. 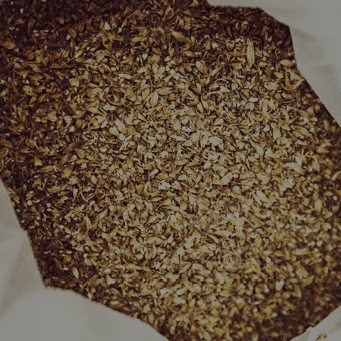 Little Valley’s Hebden’s Wheat won the Silver Medal in the Speciality Section of the festival. The same beer won the same award in 2007. 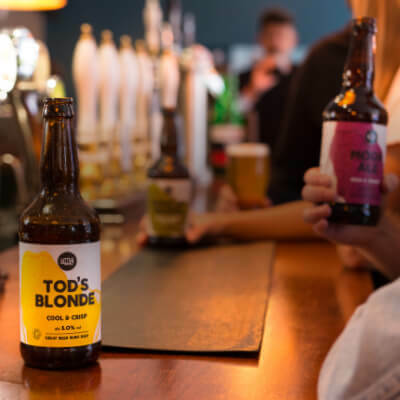 Wim commented: “There are more and more people drinking Wheat Beers nowadays which all adds to a wider choice for people both in their local shops and at the pub. I’m over the moon to win the award again, maybe next time the Gold!”.